On June 7, 2018, Loretta Rogers received an honorary degree from U of T’s Faculty of Medicine. Her biggest contribution to Canadian health-care is arguably the Ted Rogers Centre for Heart Research, the biggest such private donation in history. Unlike her late husband Ted Rogers, the cable and wireless mogul, Loretta Rogers lived most of her life well outside of the public’s gaze. But her impact on Canada – and Canadians – has been far-reaching all the same. Rogers, who today receives an honorary doctor of laws, honoris causa, from the University of Toronto, was an early investor in the company that her husband would eventually build into the tech colossus now known as Rogers Communications Inc., and continues to serve on the publicly traded firm’s board of directors. Rogers has also been an active participant in the community and a generous philanthropist as evidenced by the family’s unprecedented $130-million donation in 2014 to establish the Ted Rogers Centre for Heart Research, a creation of U of T, University Health Network and the Hospital for Sick Children. 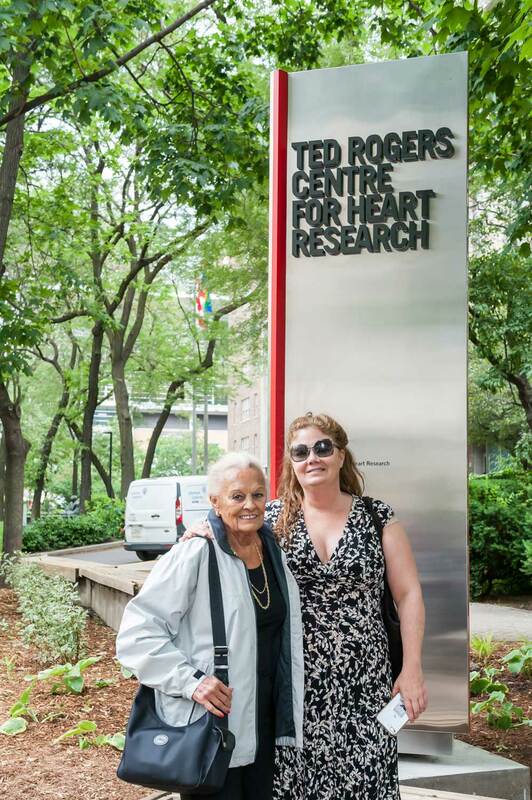 “Toronto is a top medical centre, and I think all of us who have been involved would like to keep it at the top,” said Rogers, whose late husband spent decades battling heart ailments, in a video that was posted on YouTube last year by the Peter Munk Cardiac Care Centre. The private donation, the largest in Canadian health-care history, was the latest in a long line of generous acts on behalf of Rogers and her family directed at Ontario hospitals and post-secondary institutions. 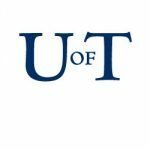 In 2000, the family gave $25 million to U of T’s department of computer and electrical engineering that went toward research chairs and scholarships. The department was renamed the Edward S. Rogers Sr. Department of Electrical & Computer Engineering after Ted’s father, who was a student at U of T from 1919 to 1921 and later invented the battery-less radio. 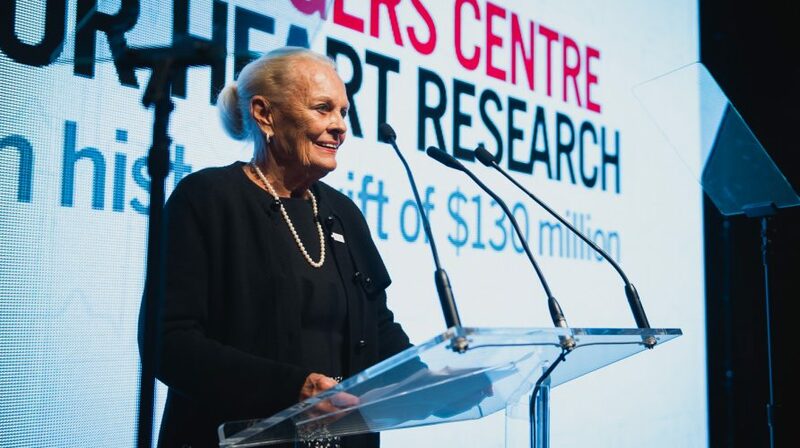 Rogers, the daughter of a British MP who would later serve as Governor of Bermuda, and her late husband were also honorary co-chairs of the University Health Network’s fundraising campaign and established the Loretta A. Rogers Chair in Eating Disorders at Toronto General & Western Hospital and the Ted Rogers Family Chair in Heart Function at the Peter Munk Cardiac Centre. She has served on the boards of numerous hospital foundations and community organizations, and was the former president of the Canadian Lyford Cay Foundation, which seeks to advance the education of residents of the Bahamas. Outside the public realm, Rogers is a talented painter whose work has been featured in children’s books alongside the art of famed wildlife painter Robert Bateman and others. They include: Under Your Nose, which tells the story of two children who rediscover nature after being forced to unplug from their devices; On the Reef, which is set in the Bahamas and explores themes of conservation; and the bestselling Larry the Loon, which retells a real-life story about efforts to care for a badly injured loon in Ontario’s cottage country.